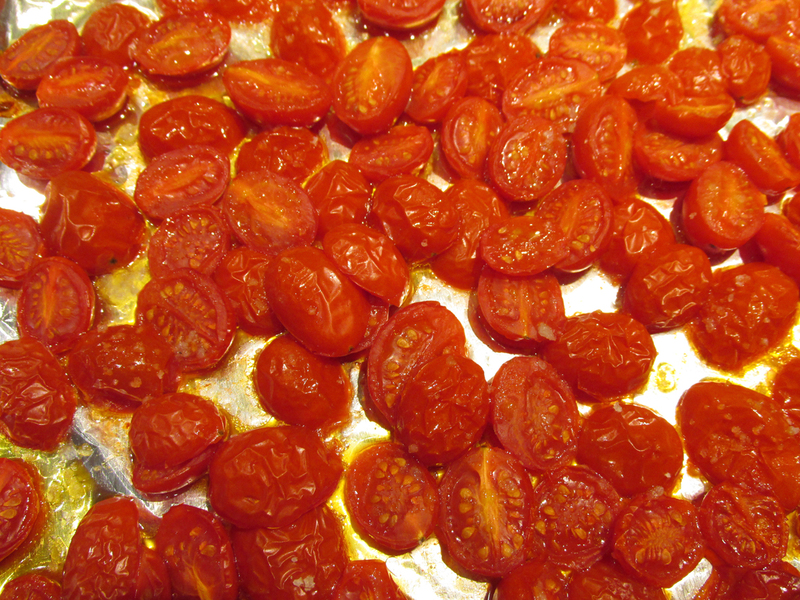 Slice Grape Tomatoes in Half and place on a baking tray (I line mine with tin foil). Drizzle with about 2 tablespoons of Olive Oil and course Salt. Roast for 20 minutes. Save all the juice. 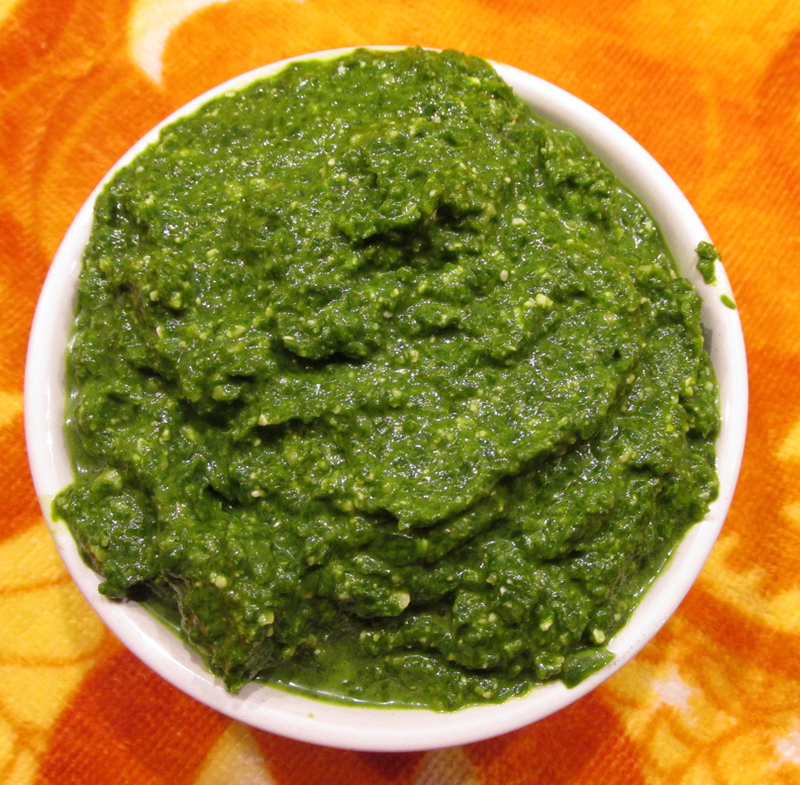 Put cleaned and washed Spinach into Cuisinart. Pulse until coursly chopped. Add lemon juice, 1/4 cup of the olive oil (or to taste), add toasted pine nuts, pepper to taste and Parmesan cheese. Mix until combined. 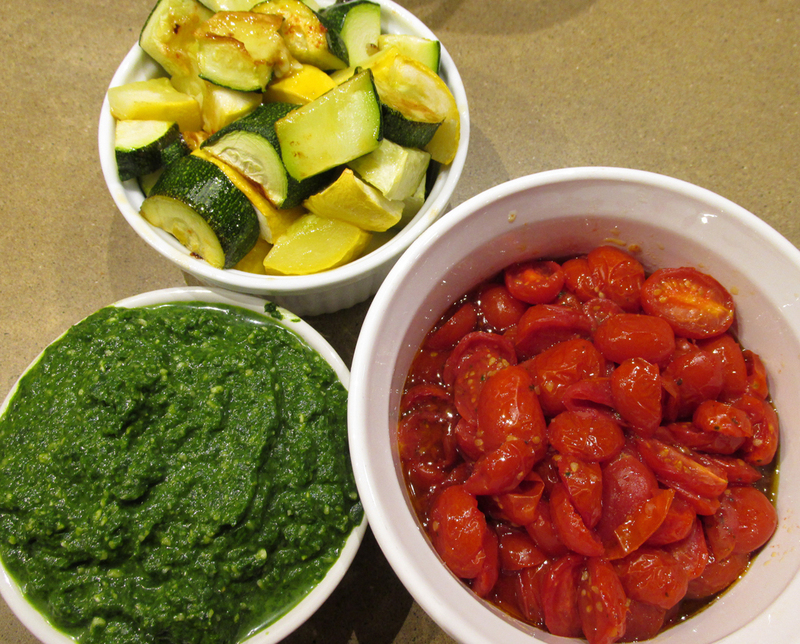 After the tomatoes are done roast the vegetables at same temperature. Slice Zucchini and Squash in Half and place on a baking tray. Drizzle with about 2 tablespoons of Olive Oil and course salt. Roast for 20 minutes. Cook Pasta and drain. Add all ingredients and toss with the hot pasta. 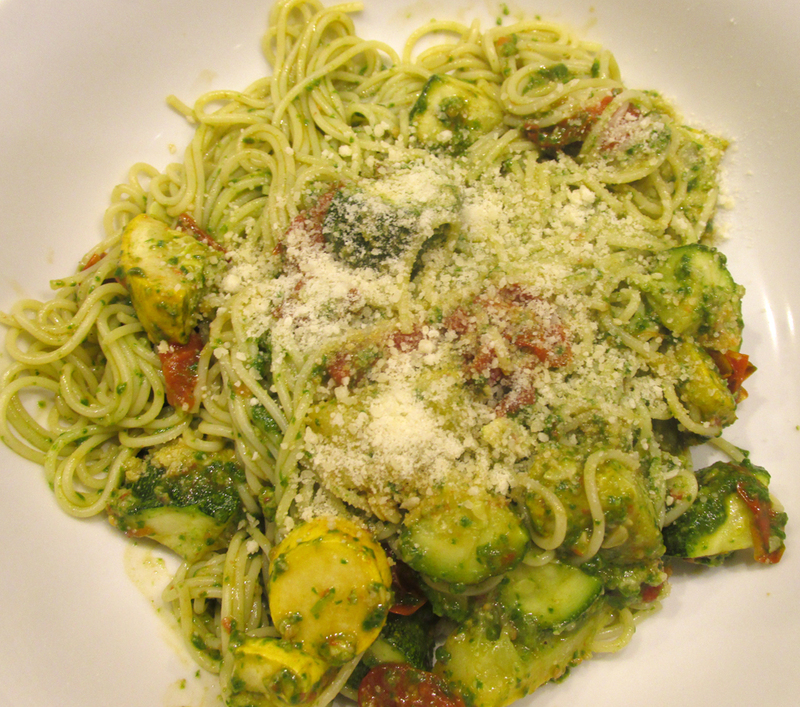 Sprinkle with additional grated or shaved Parmesan cheese. 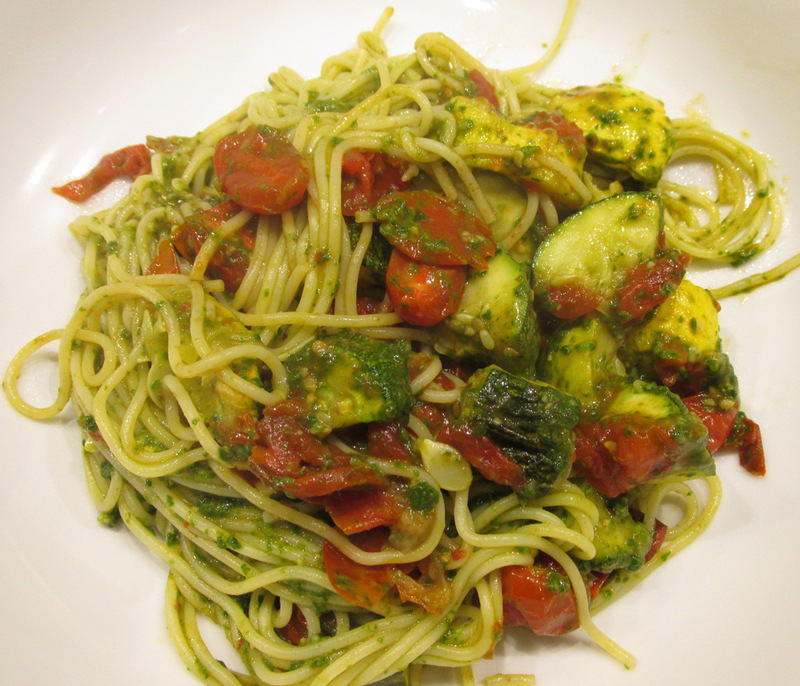 I make a similar one with sundried tomatoes, zucchini, and sliced black olives. But I really like the roasting idea as the sundried tomatoes get a bit pricey, especially considering how often we use them. Pine nuts are off the charts price wise too, and lots of them are being imported from China, so I switched to slivered almonds. I have to admit I miss the taste of the pine nuts but I absolutely refuse to buy food from China.